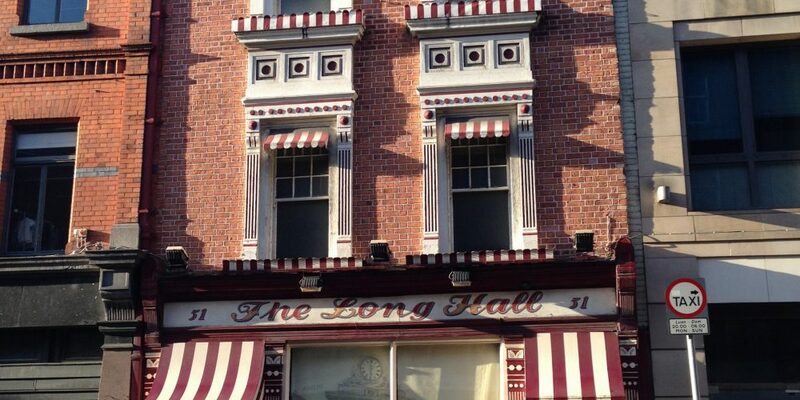 post-title An appreciation of The Long Hall on it’s 250th birthday. Home / 2016 / An appreciation of The Long Hall on it’s 250th birthday. Last night, Wednesday 19th of October 2016, The Long Hall on George’s street officially celebrated the 250th birthday of the pub. It’s a milestone that few have ever reached and also a testament to it’s ability to inspire loyalty in its old customers and to continue to attract new ones. Marcus Houlihan, the current owner and operator of the pub, wanted to gather people together to mark the momentous occasion with a few pints, some nibbles, a speech, and even some rule breaking music (music and singing is usually not allowed in the pub). In attendance were his parents, who bought the pub in 1972. This means that the Houlihan families reign is the longest period of ownership by a family or individual in the long history of the pub. Marcus (right), Val, and the staff. Part of what makes drinking in The Long Hall such an enjoyable and comfortable experience every time is the knowledge that it’s run and operated by a family, and that it is evidently a pub that treats it’s staff very well. How many other pubs can claim to have bartenders who, like Willie Devitt, served for over 40 years. Val, a well known face behind the bar, can’t be far behind in his service record. 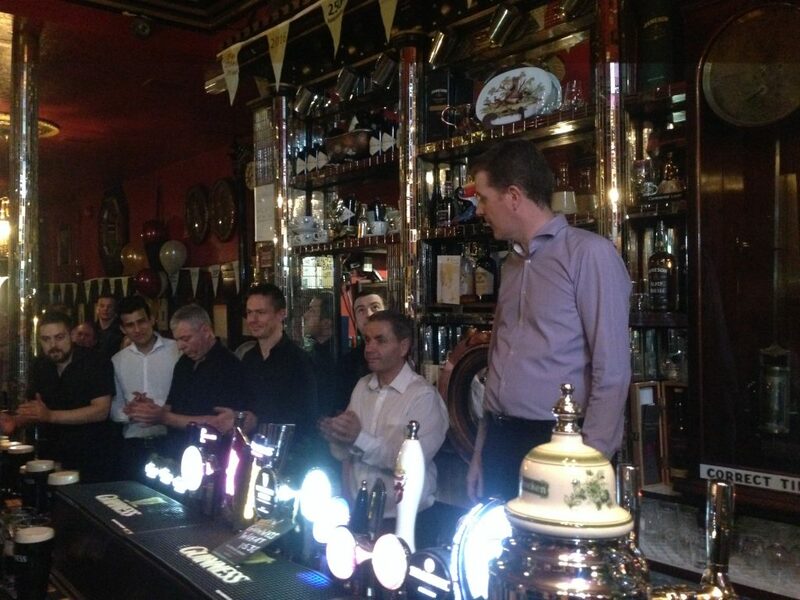 As Marcus says, what makes a great pub is “the customers, the staff, and the product”. Val, Pat, Tony, Darragh, Phil, Samir, Jamie, Stephen, and Meera have all done a fantastic job in providing the same fantastic service on every visit. An apprenticeship here surely qualifies you to work in any pub in the world, and possibly even to host your own chat show. Since it’s 1871 renovation the pub has changed very little (save for the removal of the hall from which the pub got it’s name). As he tells it, Marcus still gets stopped in the street and asked to promise never to change the pub. He, of course, responds that the pub will never ever change on his watch. 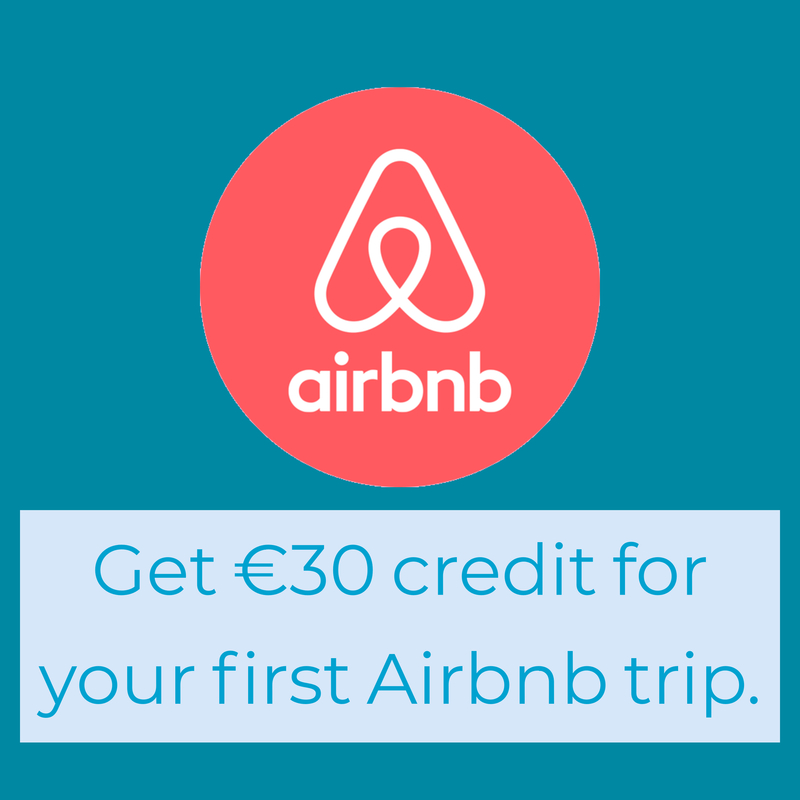 They’re comforting words for staunch devotees from Dublin, Ireland, and further afield. No birthday would be complete without the cake. 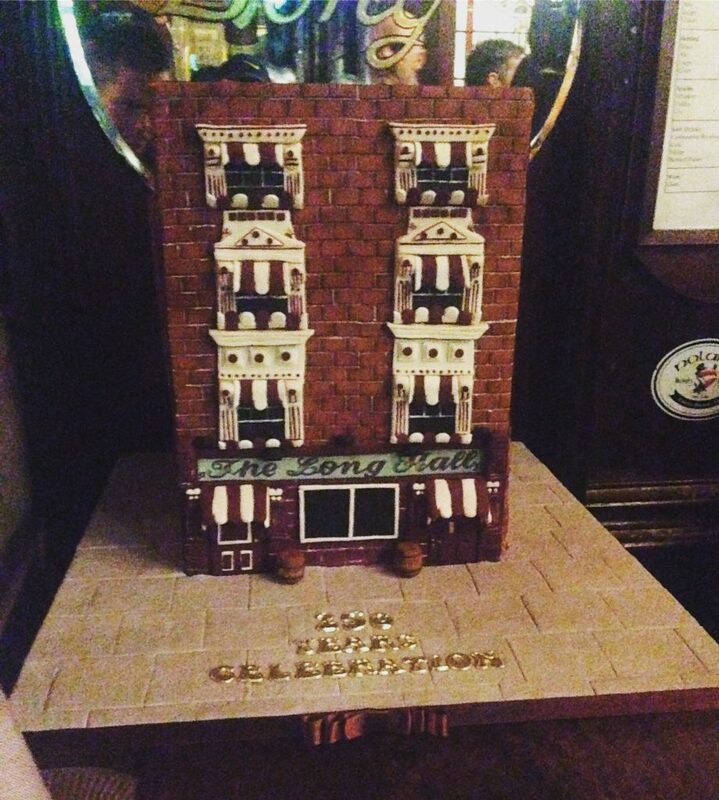 Leona Campbell outdid herself with this incredible, upstanding, cake model of the pub. 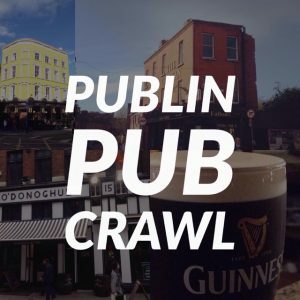 The pub is known for having one of the best pints of Guinness in the city, and it’s likely that tradition goes back all the way to the beginnings of the pub. 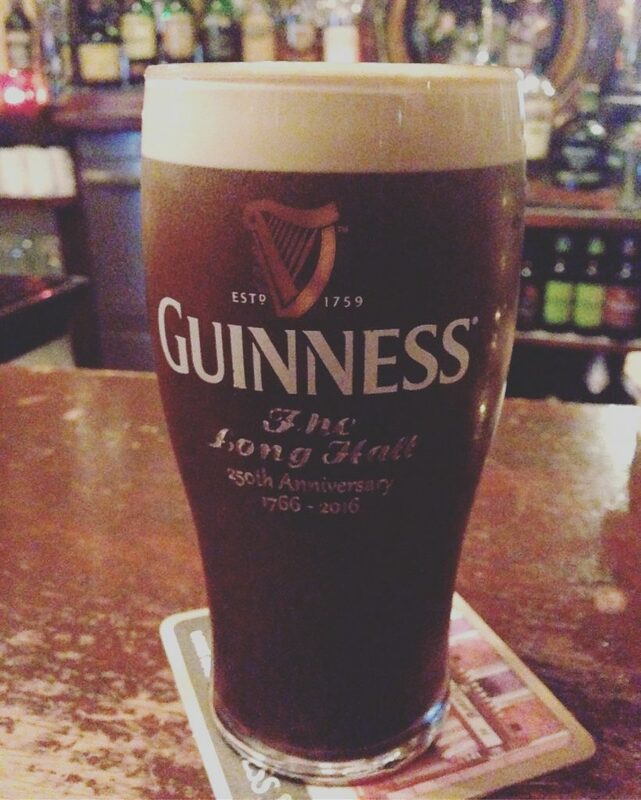 The pub opened it’s doors in 1766, and Guinness started brewing in 1759. 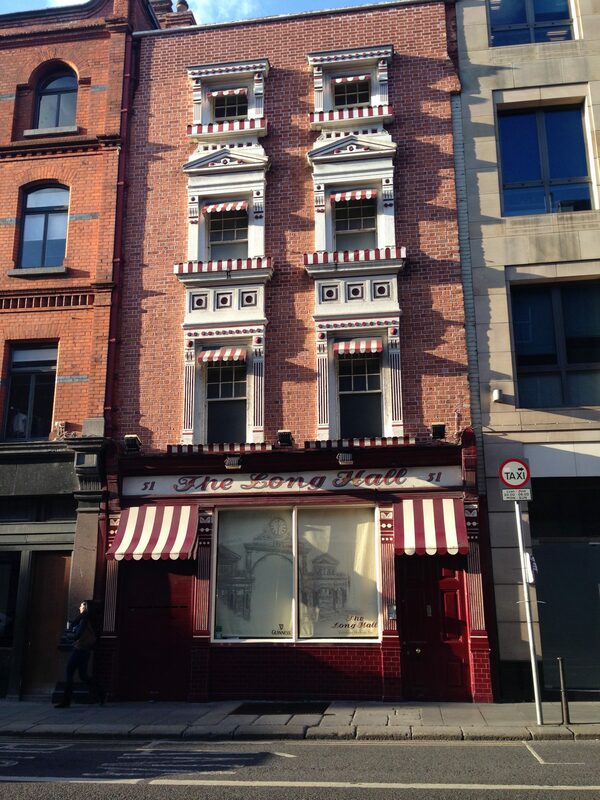 In that time Marcus estimates that they have sold 22 million pints of Guinness. Later in the year they’ll be releasing a special Long Hall Powers whiskey. Fittingly, there will only be 250 bottles made. One for every year of the pub. Well, there’s 252 bottles, but they’ll open 2 on the launch night. At the end of the speech, Marcus invited us all to charge our glasses (he didn’t need to ask us all to be upstanding, because there was no other choice), and to join him in toasting “To the Long Hall”. There are many more around the city and around the world that weren’t there on the night. 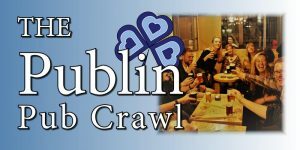 But they are all no doubt equally proud of the pubs achievement in both making it to 250 years, and making it one of Dublin’s finest and most pleasant pubs in the city to meet friends and share conversation.